This fresh and tasty appetizer is a healthy vegetarian addition to any family-style meal. Using store bought tzatziki makes this quick and easy to prepare. Preheat your George Foreman Indoor/Outdoor Grill for 5 minutes on highest setting with the lid closed. Meanwhile, toss zucchini with oil and salt. Place on grill and cook, covered, for 1 to 2 minutes per side or well marked. Cool completely. Place 1/2 tbsp tzatziki at one end of each zucchini slice. Roll into a small log. Secure with toothpick and serve. 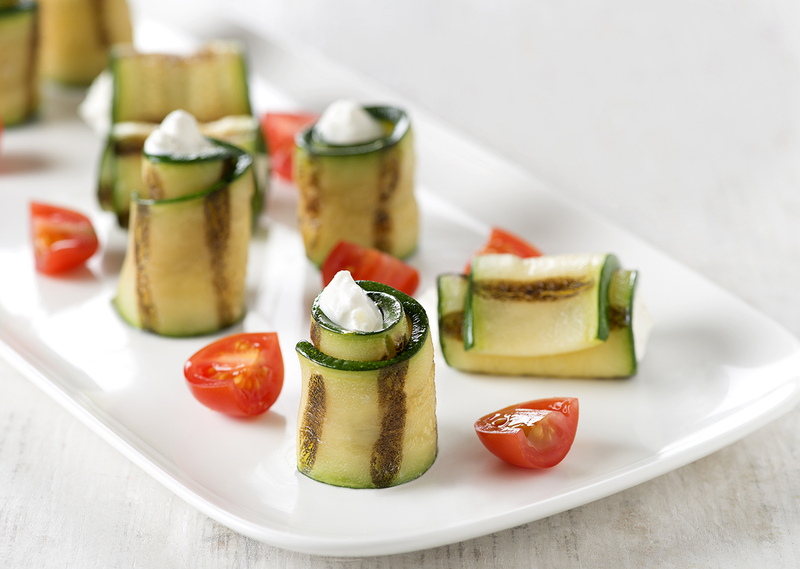 Tip: The grilled zucchini can be made a day in advance of serving and refrigerated until ready to use.